Certifications | ProcureDox Business Solutions Inc.
We are proud to say that we are members of PIDX. 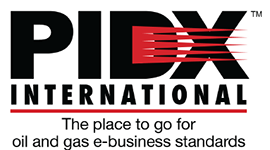 PIDX stands for Petroleum Industry Data Exchance, therefore PIDX main remit as an Industry Body is the development of Royalty free Electronic Business Standards for Trading Partners within the Global Energy Industry. PIDX Standards help drive eBusiness adoption, integration cost reduction, and improve overall Business Processes Efficiencies. ProcureDox Business Solutions Inc. is audited by CSAE-3416. CSAE-3416 is also known as Reporting on Controls at a Service Organization and it has been designed to provide standards and guidance to an auditor who is reporting on controls. Interested to know more about this? Contact Us and our team will gladly get back to you within 24 hours.